Cated J Paul, allegedly close friend of Senator Antonio Trillanes stating his true color since Philippine Military Army (PMA) days. 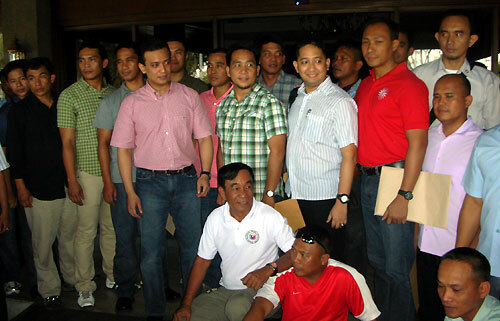 According to Cated Paul, Trillanes never experienced combat and just wanted to assign in the office to avoid combat. He also said that they used to call Trillanes as “boy hotel” and “talawan” or “coward” for just keeping himself busy in paperworks and not even joining in the combat. 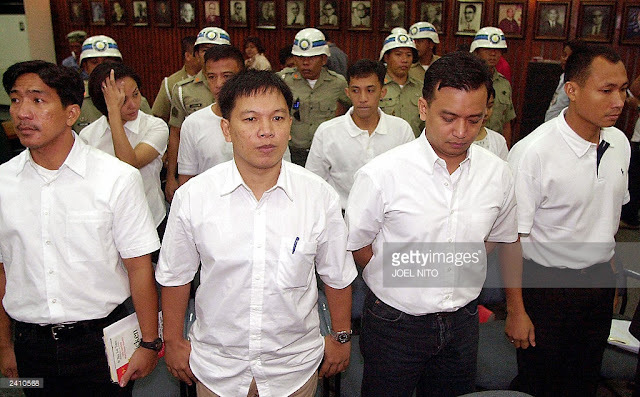 He said the reason why Trillanes became known because he volunteered as a spokesman of the 2003 Aokwood mutiny. He also said that Trillanes as a paid mercenary. "Sorry to say but one of my close friend is the mistah or batch of Trollanes in PMA Batch Marilag Class 95 and now an army scout ranger battalion commander and he is a humble soldier with a lot of gold cross medals. 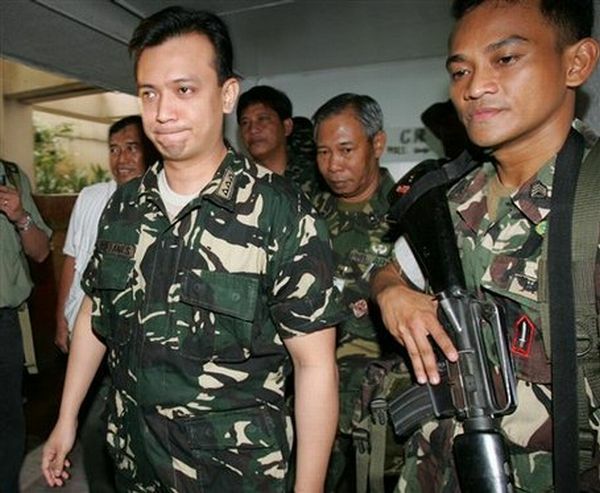 "He told me that Trollanes has never experienced combat and was a pencil pusher in the NAVY office all thru out his career as a soldier meaning he always wants to be assigned in offices to avoid combat , btw he was never the brains or the original founder of the Magdalo Group , it was Capt Gerry Gambala who is the real brains & leader of the Magdalo Group & the majority of the Magdalo Group now are working as Intel Officers in BOC recruited by Com Faeldon who was also a member of the group before. "That is why there are 2 factions now in the Magdalo , Trollanes is dissapointed also because majority of the group are now with the PRRD admin only a few left on his group that includes the party list congressman named Gary Alejano who keeps on defending Delima too, my close friend told me that they even have a joke on Sunny Trollanes , they call him " Boy Hotel " because he keeps on hiding in hotels when plotting a coup, he only joined the Oakwood Mutiny 2 weeks before the coup and he volunteered as spokesman kaya sumikat ang gago ika nga he was a late comer to the group. "He was never a combat officer & a be medaled soldier itanong nyo sa mga mistah nya kung anong klaseng tao sya alam nila halos lahat na " Talawan " sya ....at tunay na Sundalong Kanin!" the academy was been fooled as well by trillo,,galing talaga sa kahayupan at immoralidad,,ask who was his legal wife, an underclass,,mapagsamantala. asan ang tunay na kapatiran? ?linlangin at pagsamantalahan ang underclass,,anong tawag don,,,even their brigade commander ccafp-marilag class never joined them in their foolishness,,trililling magisip isip ka. salute for cadet j paul,,cno ka man....reveal some more,,marami yang kagaguhan cadete pa lang..
Yan ang patunay na sundalaong kanin talaga ang Trililing trillanes na ito. 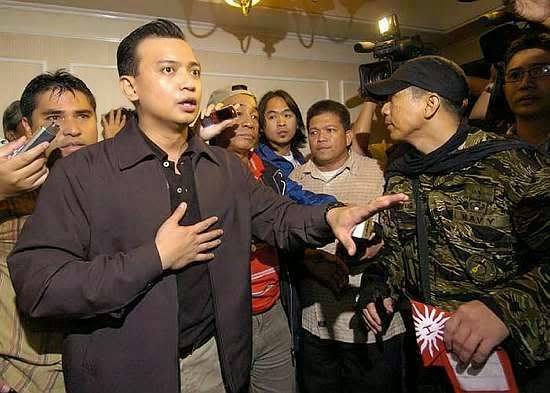 I have no respect for you trililing trillanes. You are a disgrace to the PMA. YOu belong to the dust bin. You have not done a single good thing for the country except to be a yellow drug lord puppet , a mutineer, a down and out traitor, only good for trash. YOu are so low in our eyes and we hate you Trililing trillanes.